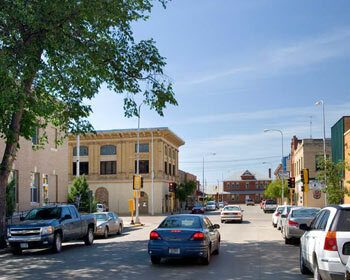 This study investigates the nexus of transit and rural livability by conducting case studies in the North Dakota communities of Valley City and Dickinson. While many factors influence the livability of a rural community, transit is an important contributor. For each of the two North Dakota communities considered, public/resident surveys, local transit rider surveys, and stakeholder interviews were conducted to understand differing opinions on livability and how transit contributes to livability. In both Valley City and Dickinson, surveys of residents showed they believe affordable housing, low crime, quality healthcare, overall cost of living, quality public schools, and available jobs are the most important factors contributing the livability of a community. While transit was not among the top factors, survey respondents expressed considerable support for providing transit services and funding it through various sources. Residents in both cities expressed the opinion that transit should be provided in their community as a transportation option for seniors, people with disabilities, those who choose not to drive, and those who cannot afford to drive. Transit riders in both cities indicated that transit is very important to their quality of life, and stakeholders from both communities said transit is a critical lifeline for people who are elderly and/or have a disability, individuals with no vehicle, and those who cannot drive. Godavarthy, Ranjit, and Jeremy Mattson. Exploring Transit's Contribution to Livability in Rural Communities: Case Study of Valley City, ND, and Dickinson, ND, SURLC 16-004. Montana State University, Bozeman: Small Urban and Rural Livability Center, 2016.